The Traktor Kontrol S4 Mk3 promises to revolutionise digital DJing with its motorised jog wheels and brand-new Haptic Drive technology. It's in stock now! With brand-new Haptic Drive technology, the Native Instruments Traktor Kontrol S4 Mk3 puts the real feel of vinyl DJing under your fingers. 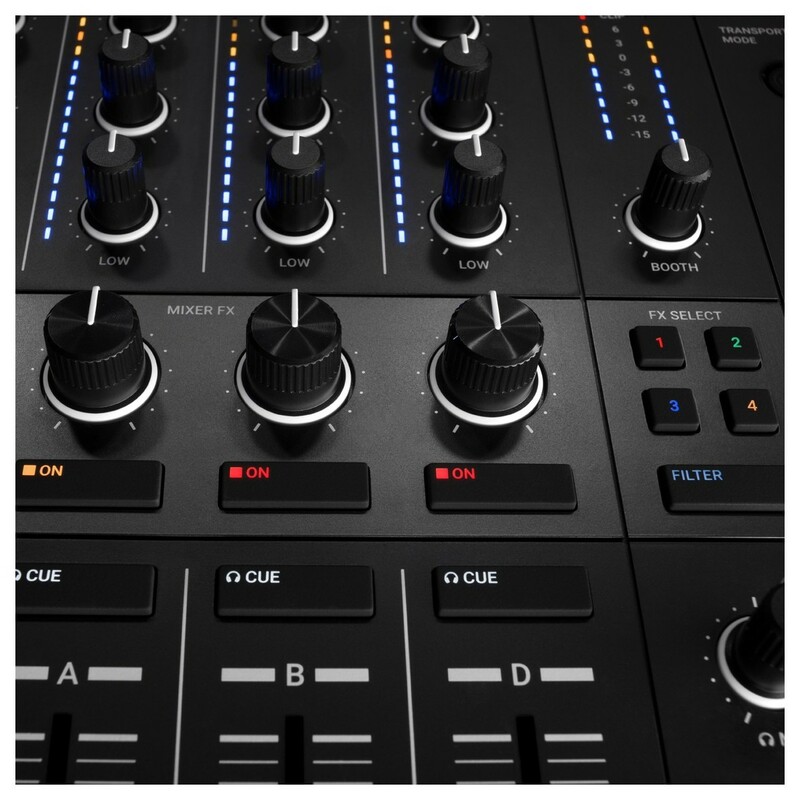 Bundled with a full copy of the flagship Traktor Pro 3 software, the Traktor Kontrol S4 Mk3 has everything you need to connect with your tracks. The big news for digital DJs is Native Instruments' brand-new Haptic Drive technology, featured on the Traktor Kontrol S4 Mk3. Two motorised jog wheels spin and react just like real vinyl decks, as well as providing haptic feedback directly to your fingertips. Multiple modes are provided to let you interact with your tracks however you prefer, with a clear LED light ring providing intuitive visual feedback for all your moves. In Turntable Mode, the Traktor Kontrol jog wheels spin in time with your music and gives a true vinyl-style response. The Haptic Drive technology lets you nudge records, slow then down using the wheel rim, ride the touch-sensitive top plate, or spin the deck back for peak-time rewinds; just as if you were using real vinyl decks! The Jog Mode provides traditional spin-to-nudge behaviour to speed up and slow down your tracks. Haptic feedback means you can feel 'notches' directly through your fingertips, whether you are scrolling through cue points and loops, or spinning the deck to line up your next cue point. This force-feedback means you can spend less time looking at your screen, and more time reading the dancefloor. 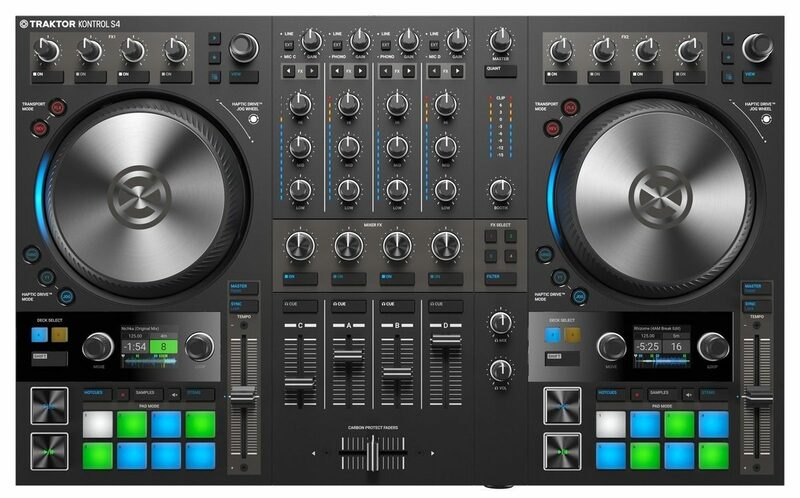 The Traktor Kontrol S4 Mk3 is designed with a club-standard layout to seamlessly integrate with Traktor Pro 3 software. Every dial, pad, and slider is provided to let you intuitively trigger loops and samples, manipulate effects, and load tracks. Along with the LED light ring around the jog wheels, the Traktor Kontrol S4 is packed with visual design touches to give you complete feedback at a glance. 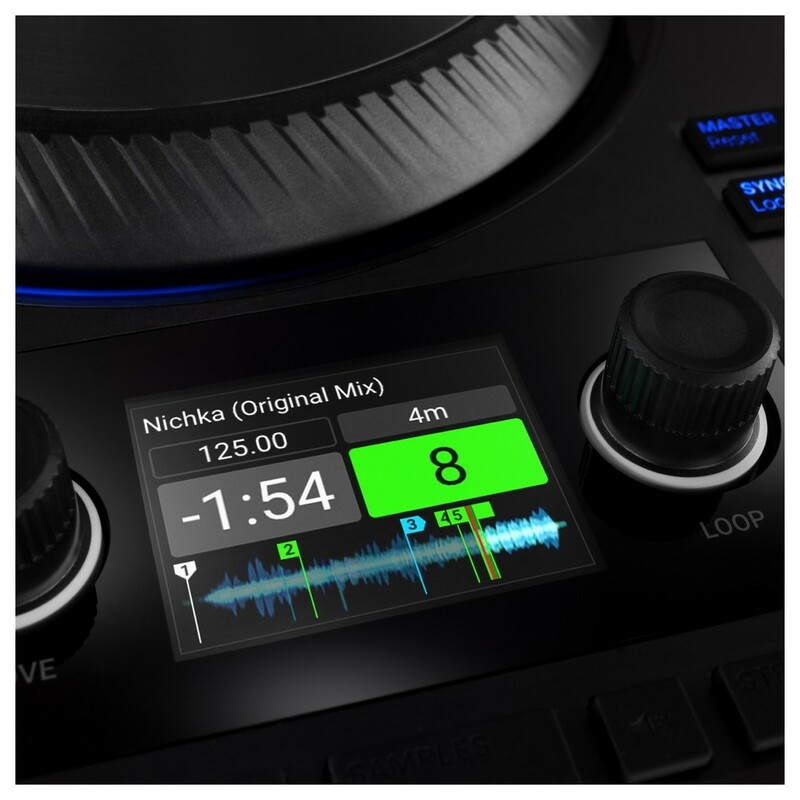 Two high-resolution displays give information for tempo, looping, track time, and wave information, as well as Stem and Remix deck components. The new Mixer FX lets you use one knob to create instant buildups, breakdowns, and high-energy transitions. Eight effects are provided as well as three smooth filters. The Traktor Kontrol features a club-grade, 24-bit / 96 kHz audio interface to deliver pristine sound. It also allows you to connect external microphones or sound sources. 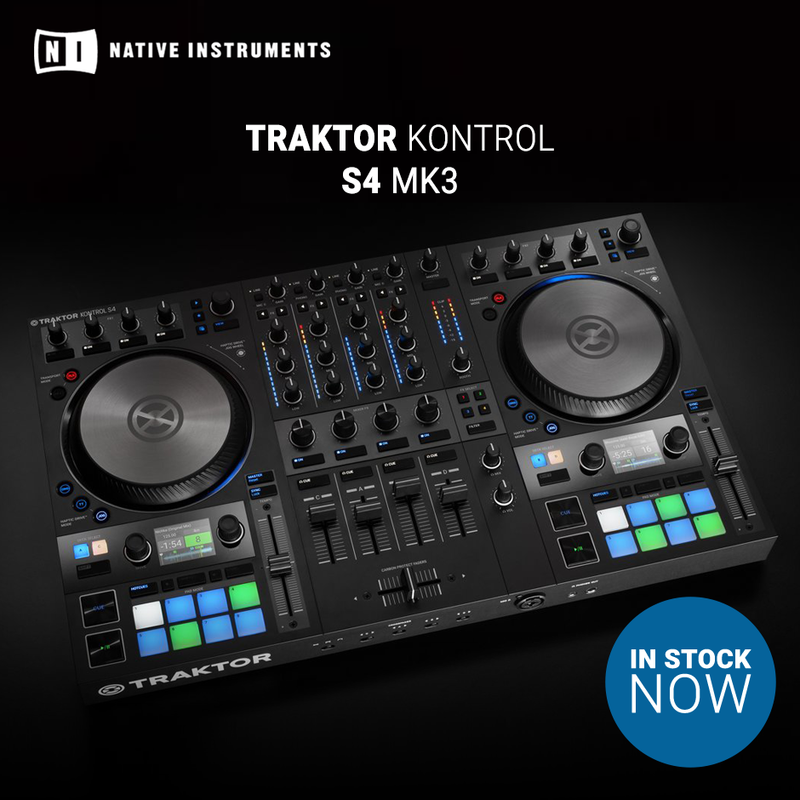 To read more about the Native Instruments Traktor Kontrol S4 Mk3, including the bundled copy of Traktor Pro 3 software, follow the links below.